This week in our Mini Monday Series is our Mini Focus Freeway pattern! Mini Focus Freeway is the miniature version of our unique Focus Freeway quilt pattern. Both patterns will be 20% off today and tomorrow (1/26/18 - 1/27/18 PST). Now let's chat about Mini Focus Freeway! The Mini Focus Freeway finishes 16.5 inches wide by 12.5 inches tall, so it is a bit smaller than the original 48 inch square Focus Freeway. It is also different from the original pattern, because the entire quilt is appliquéd - we didn’t want to piece the curves, they would be pretty itty bitty! The Mini Focus Freeway pattern calls for a background fabric, a camera fabric, three grey accent fabrics and of course assorted fabrics for the aperture. 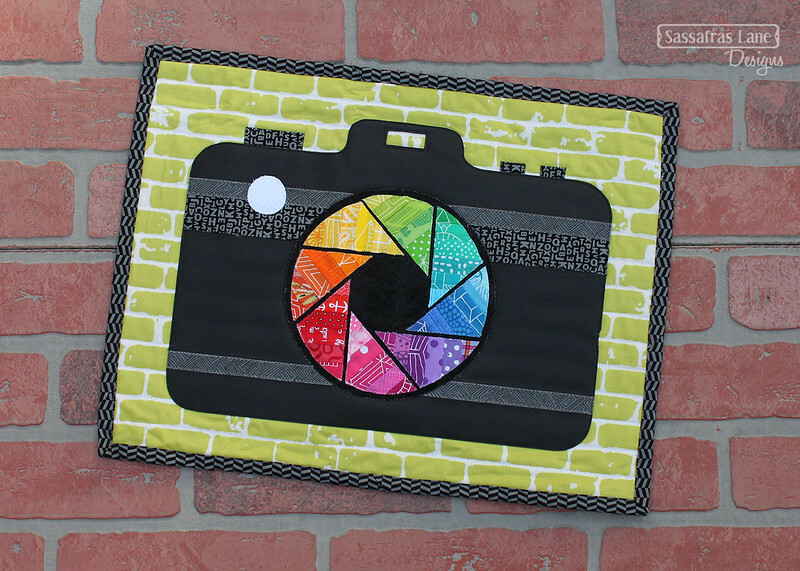 The aperture can be made with one fabric, 8 different fabrics or assorted scraps pieced together! 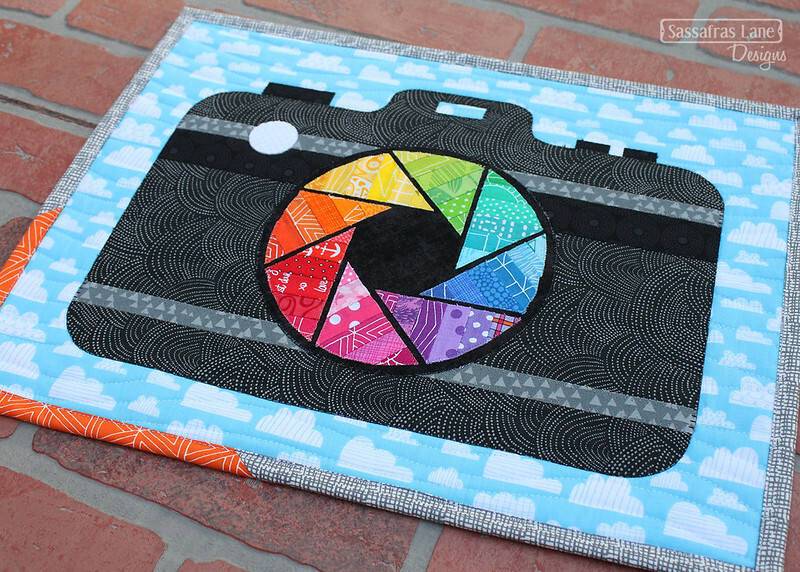 My personal favorite is to create a rainbow of scraps circling around the center of the camera to really draw the eye in. Another fun thing to play with is the background! We have made a few minis with travel themes and used maps as the backgrounds. This mini is completely appliquéd! Except of course the optional pieced aperture. So dust off your satin stitch and get started! It is a fun, easy pattern to learn fusible appliqué, reacquaint yourself with this technique or use your go to quilt making method. Mini Focus Freeway is my current favorite mini! We have made quite a few different versions, so grab a cup of tea and let us know which is your favorite! 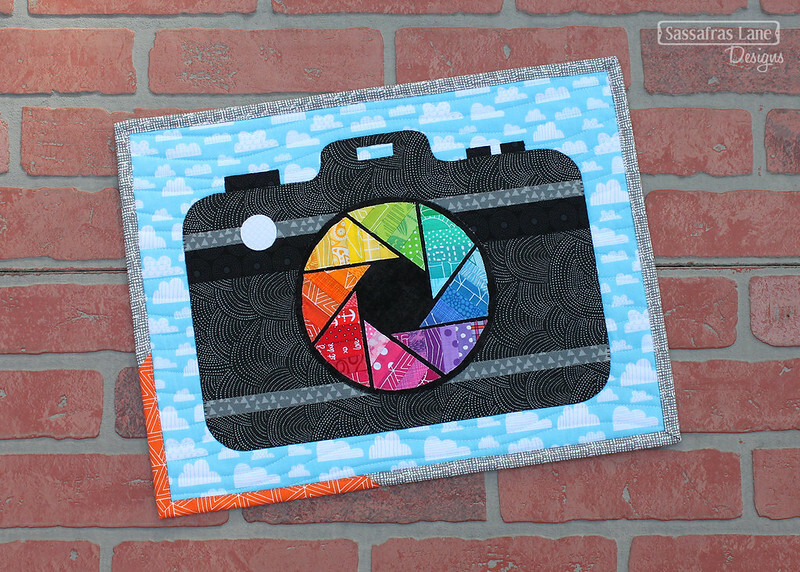 One of our cover Mini Focus Freeway quilts is made with a scallop black print for the camera, a fun cloud print for the background and assorted scraps that create a spectrum for the aperture! 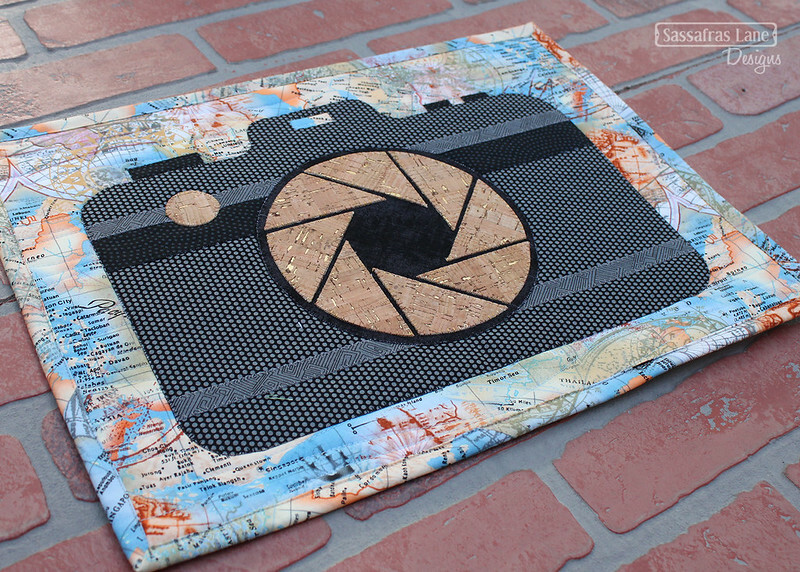 Our second Mini Focus Freeway cover quilt features a grey on black polka dot for the camera, a map print for the background and a gold-flecked cork aperture. I love how these fabrics play together! 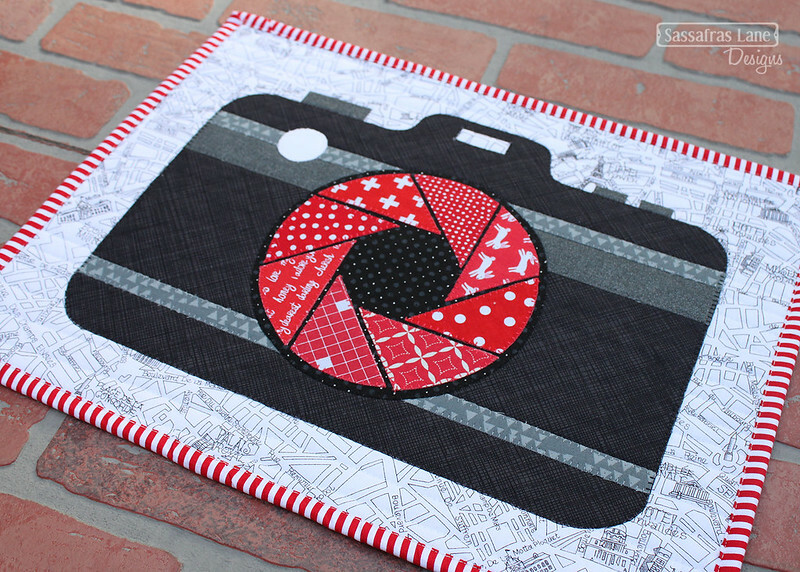 This quilt is all about red. 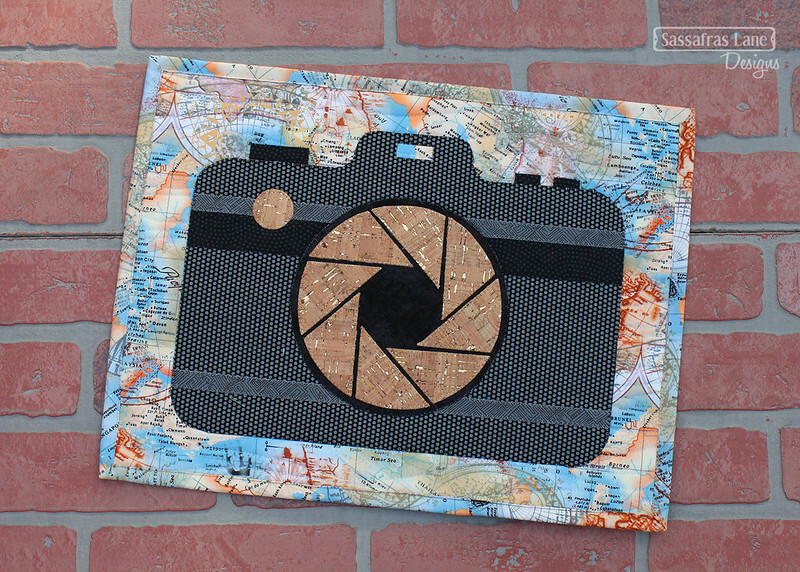 This camera is made with a charcoal sketch print, a triangle print and a fun punch of grey sparkle! Pair those with assorted reds for the aperture and a map background and voila! This version of the Mini Focus Freeway features the scrappy rainbow aperture like the first one, but is made with a pleather camera body. The lime green brick background pulls this quirky version together! 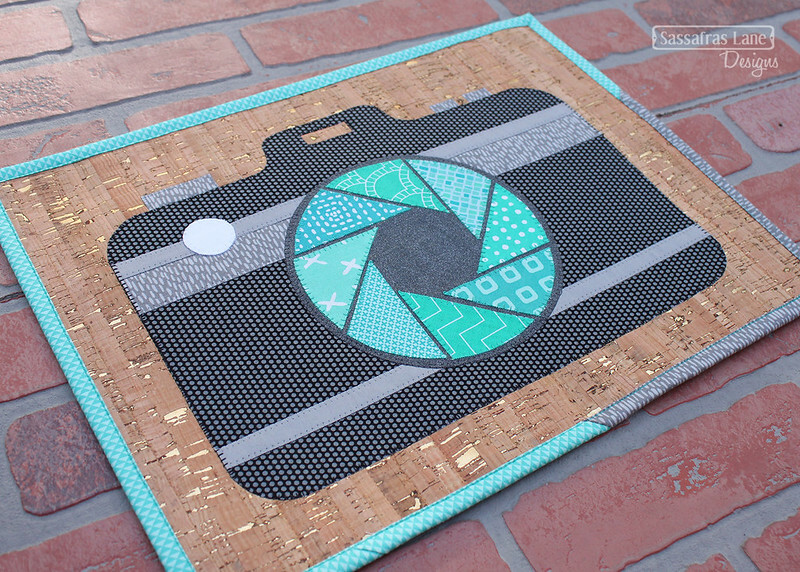 This last quilt features 8 assorted teal prints on a sparkly charcoal lens fabric! 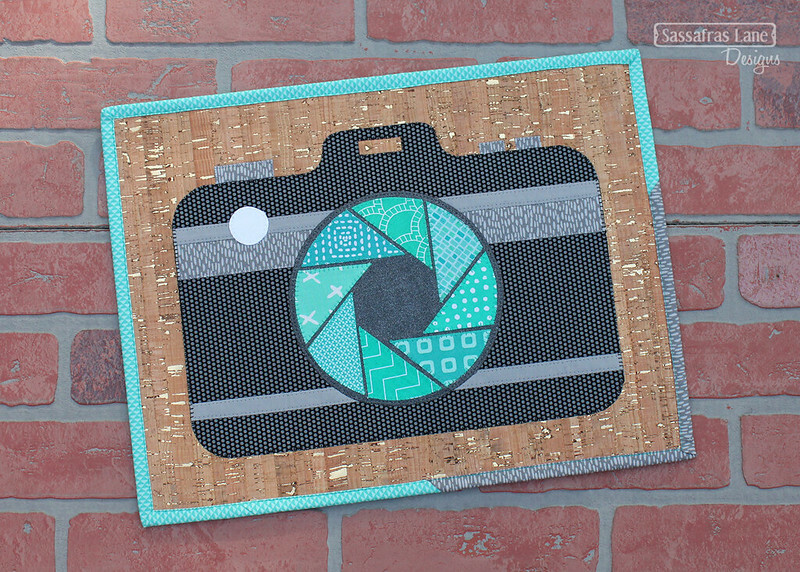 The camera body is a fun polka dot and the entire camera is appliquéd to a beautiful cork background. 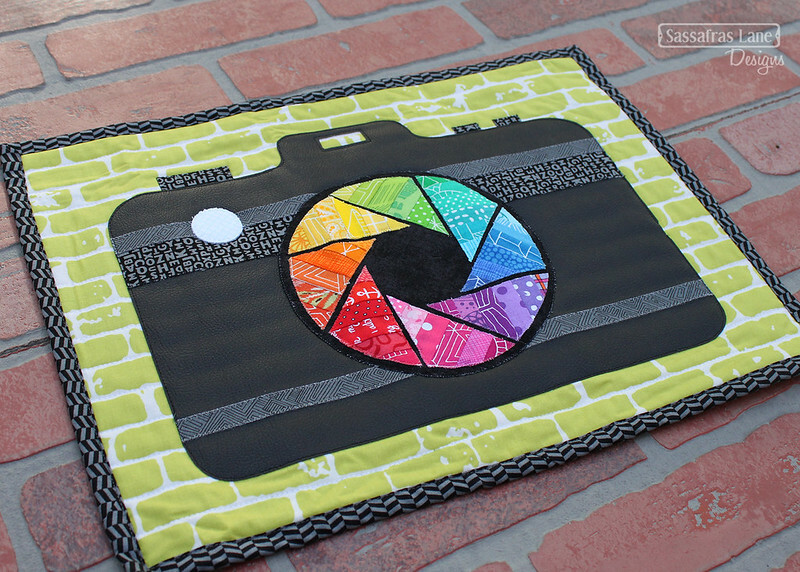 Share Your Mini Focus Freeway Quilt! 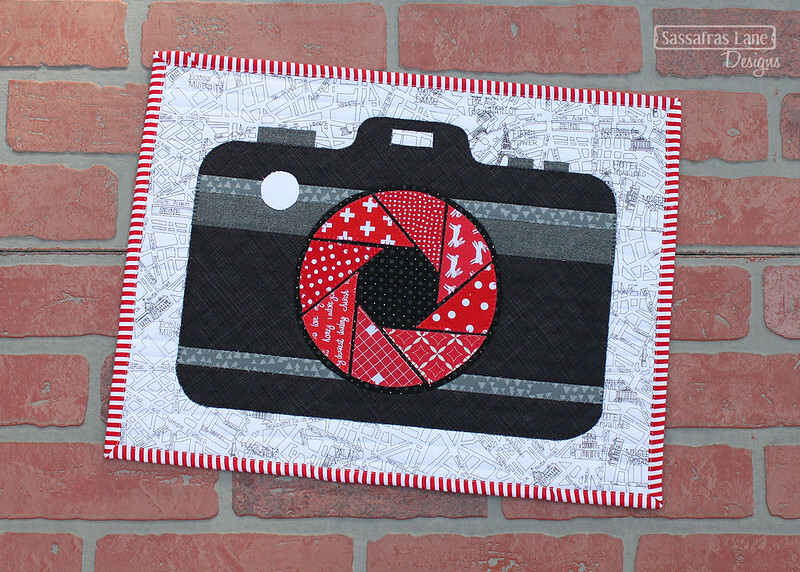 We hope this inspires you to tackle a Mini Focus Freeway quilt of your own! If you do, be sure to share photos on social media so we can see it! Post them to our Facebook Group or use our #sassafraslane hashtag on Instagram!